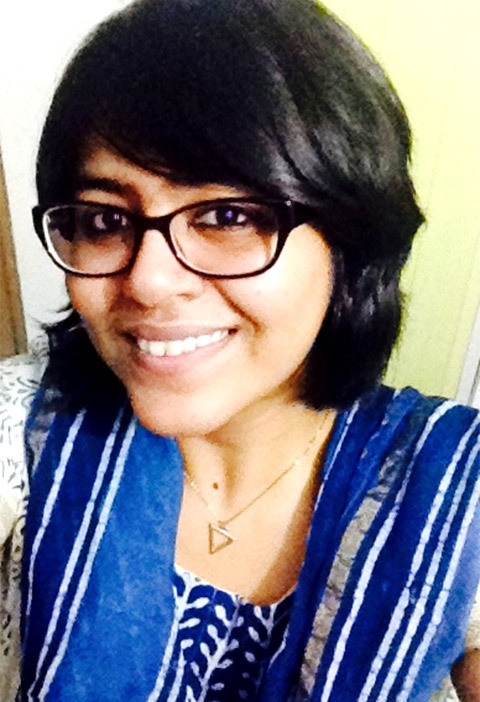 Anusha Parthasarathy is a reporter for The Hindu, and the creator of Meera, a one-of-a-kind comic strip for children in India. Illustrated by Ashok Rajagopalan, it appears weekly in The Hindu’s Young World supplement, and also exists as a webcomic at this location. You’ve mentioned on the website for Meera that the comic is the product of a ‘long discussion, over one night, about how Indian comics never target children’. Could you elaborate? What made you want to address that gap? A very good friend of mine came back from the U.K. after graduating in children’s literature last year. She introduced me to the world of children’s books and got me to realise how difficult it is to write for children. Once, when we met over dinner, both of us spoke about how there were no comics that addressed issues like bullying, sexual abuse, and even menstruation, for that matter, for Indian kids. There is no character that they could relate to that would talk about these things subtly. That’s when I suddenly wondered if a comic strip would work. The reason behind wanting to address this gap is very simple. The world is becoming smaller, thanks to the Internet, and children are exposed to so many things that it’s important for them to be able to differentiate between what is good or bad. It’s also important that once they know, they figure out how to handle these situations. Parents may not always understand or be articulate about the things they feel. So, a character who is like them, and is going through similar things, could be someone they could relate to and look at. It needn’t just be a favourite cartoon, but could teach them something as well. Was it hard to get started on the project? Did you have any experience with writing/creating comics before Meera? It wasn’t hard, though I had to convince my office that I could pull this off on a weekly basis. They were very supportive and gave me the go ahead immediately, scheduling the comic for our Children’s Day issue so that I had enough time to work on it. I had no experience with writing for children or writing comics but I’m an ardent reader of webcomics and syndicated ones, Calvin and Hobbes being my favourite. I think, in some ways, Meera is modelled after Calvin, although not entirely. What was hard for me was to come up with a character and stick to it, instead of breaking of into different tangents. It was also the question of how many people Meera will interact with on a daily basis and how important they were—so, building strong characters was important. I made a conscious decision to have Hari, Meera’s differently-abled friend, so that we could address disability issues. Her other friend is Noor, a hijab-wearing Muslim girl, so that there is diversity. Apart from this, I wanted her to have very philosophical and fun conversations with her dad, who I portrayed as a rather progressive parent. I guess the comic is also for parents, in a way (smiles). How did you come to work with Ashok Rajagopalan on the comic strip? Before I shifted departments in The Hindu and moved to Young World, I spent four years writing features for Metro Plus, their daily lifestyle supplement. I had interviewed Ashok a couple of years back and when I pitched the idea to him, he agreed to illustrate it. We met, spoke about the character and both of us fell in love with her. He is an incredible illustrator with tonnes of experience and brings the script alive. I keep going back to him with doubts and changes in my script and his feedback has always been very valuable. Meera wouldn’t be the same without him. How did the character of Meera come to you? How did you go about setting up/building the world she inhabits? ​The moment I was serious about writing a comic for kids, I was sure it would be through the eyes of a witty, smart little girl. And Meera just came to me. I wanted her to be inquisitive, bubbly, and smart, but also vulnerable. In one of the comics, Meera is the one being bullied because she was always asking questions in class and did well in her exams. I wanted a character that would be there for her friends but also be in situations where she would need their help. This helps build the character better. And, of course, Meera isn’t a superhero, so she doesn’t have the pressure of being right all the time. She hates her uniform (because I did, in school), loves asking her father questions that he has no answers to, and is a loyal friend. The world Meera inhabits is not too different from ours. I try to keep it as real as possible, peppered with instances from the lives of my friends and my own. What goes into the making of every episode of Meera? What is your process like and how do you go about working with Ashok? Every episode is an amazing story, actually. It’s pretty hard to come up with ideas on a weekly basis, so you have to talk to a lot of people about their childhoods and gather incidents or ideas from various sources. My friend, Nithya, who helped me with the initial idea, was my proofreader for a long time. I still go to her when I’m stuck. Another friend, Sindhiya, who was till recently an English teacher in a school in Erode, helped with some strips. There are so many others who have provided their inputs that Meera is not just one story but a collection of them. Working with someone with as much experience as Ashok is such a pleasure because there’s great communication and he is also a mentor, of sorts. I sit one evening, write the script, send it across to him for clarifications or just to know what he thinks. Once we both agree that it’s good, he begins work on it. I explain the situation in as much detail as possible in the script so that he can picture it and express it better. Sometimes, it works the other way too, where he brings the script alive with the character’s expressions. Are there any interesting anecdotes from the making of the comic that you can share? Well, a lot of the conversations that Meera has with her father are inspired by the relationship and conversations that I have shared ​with my dad. For instance, in one comic, her father tries to feed her upma (I hate upma too!) by telling her the story of Sinbad. When I was a child, my father would do the same every morning before I went to school. Unlike Meera, though, I could never come back with a good enough retort. Have you received any feedback from readers of Meera that has surprised you? The first ever feedback I got from a child was something unexpected. At Young World, we sift through tonnes of drawings and poems that children from all over the country send in. One day, I happened to find a drawing of Meera! That was my first brush with reality—that kids were actually reading my comic and liking this little girl I created. I started seeing that a lot of children who wrote us feedback mentioned that they read Meera. And my colleagues’ children too read the strip because Meera is an Indian name and the people around her seem like those they could relate to. Another response I get from people I know is that the character resembles me a lot. The illustrator himself once admitted that he fashioned her out of his knowledge of me. I guess that if you create a character, in some ways, she is you. What are some of your favourite webcomics? What do you like most about them? I read a lot of webcomics, actually. The Oatmeal, XKCD, Pearls Before Swine, Cyanide and Happiness, Royal Existentials. I love the ideas they explore and the way the artists think. For example, Royal Existentials, which is an Indian comic, does an exemplary job of bringing up contemporary issues like politics, gender, and so on, through vintage art. It is sharp, smart, and so funny that every Friday I remember to look out for the weekly update. The same goes for XKCD, which explores so much and so simply. I like having my notions challenged and I love learning different points of view. 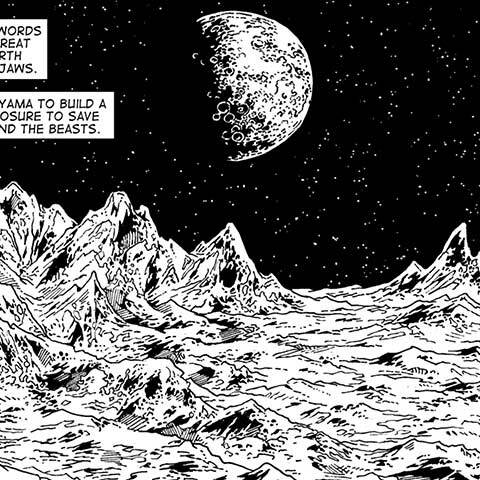 Webcomics help one look at the world in a completely different way. There has been a huge surge in recent years in India’s comics scene, with more and more artists creating comics and graphic novels, and events like the Comic Con promoting the same. Having said that, there aren’t too many webcomics that are being produced by Indian creators. What would you attribute this to? Do you see this changing in the near future? More than webcomics, I think graphic novels are doing so extraordinarily well in India. Every other day, I find new graphic novelists working on different subjects. While 90% of them focus on mythology, there are others who are expanding their repertoire to include other stories that need to be told. Webcomics are perhaps too recent, and will catch our fancy soon. I’m sure we’ll be seeing more of them in the next couple of years. Have you thought about where you want to take Meera? Is it to remain a weekly comic, or are you also thinking about books, animated films, etc. featuring Meera? For now, I want to build her into a strong character, who children will relate to and learn from. There are many issues I want to bring up in the course of the comic, so it will remain a weekly for a while, although a book would definitely be a part of my future plan. But that’s some time away, let’s see how far Meera goes (smiles). Click here to view all Meera comic strips.